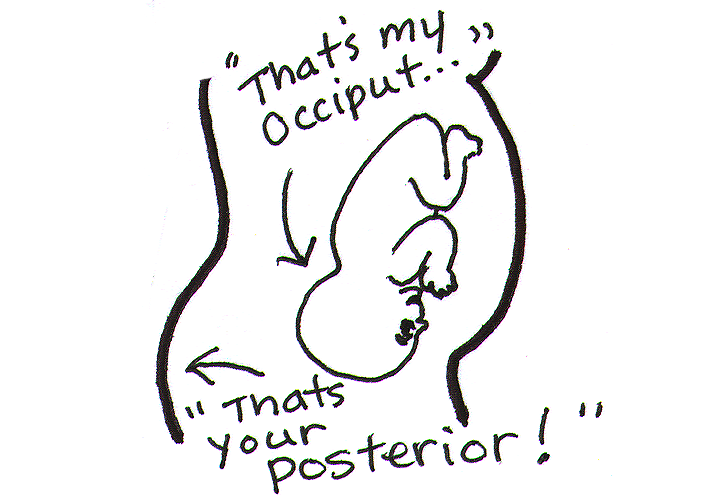 Most babies presenting in a posterior position will rotate to either occiput anterior or occiput transverse. The cesarean rate is higher for OP babies than OA babies (but not OT babies as a group). Studies show there are often specific reasons a posterior baby stays posterior. Certain causes listed below are associated by literature or by myself for reducing the chance baby will turn on their own. There is usually a range of whether each of these things will stop the rotation or not, or whether they lead to a cesarean or not. So this is not a list of absolutes. Birth positions are commonly called “maternal positions” in the literature. 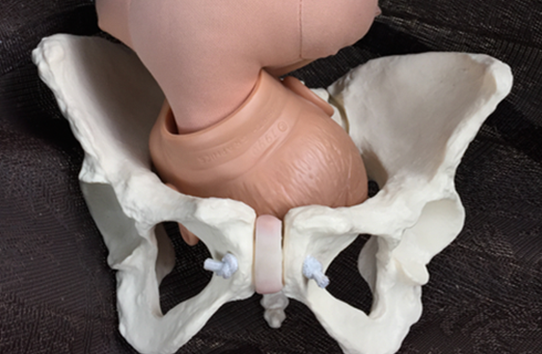 There is little understanding in published studies for opening pelvic diameters. 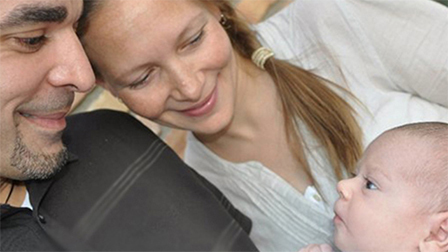 Spinning Babies is a leading voice in birth positioning. There are plenty of studies showing posterior presentation as a challenge to labor progress. But lack of progress is not as simple as either or… either baby is anterior or isn’t moving. Nope. Not that simple. Flexion or extension, and relationship to the pelvic diameter are also factors. Try Abdominal lift and tuck! Not all pelvic characteristics are genetic. Many are results of what I call, “Living in gravity.” Torsion or tension determines the amount of traveling space available to a baby as much or more than size. We love to put body balancing before assumption that the pelvis is too small. How we support birth from the birth giver to the one being given birth to has a dramatic impact on the outcome of labor. Definitely not the only factor, labor management does however determine whether support for birth is focuses on the birthing duo – birth giver and baby – or strategizes for business benefits or provider scheduling, for instance. Hospitals must function, but the best outcomes are repeatedly shown when the family needs for social and medical support are both honored in care routines. 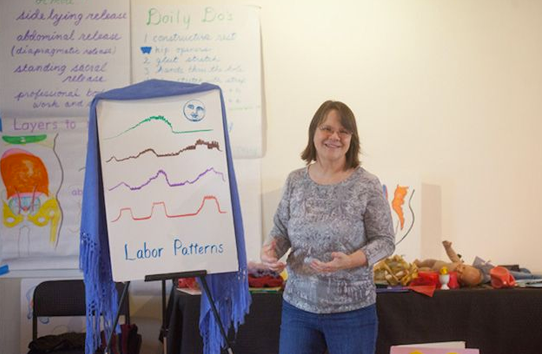 The labor pattern may slow down due to arrival at the hospital or another family members need. For instance, the experienced mother who waits for the children to be asleep before labor switches to high gear is one labor pattern that is practical, not pathological! 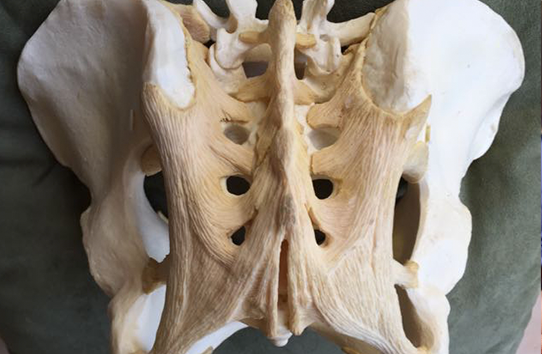 Another labor pattern may reflect a lack of engagement and another reflect posterior presentation or a similar extended head position. Consider environment and birth positioning, privacy and calm. See our references for these and other statements here.